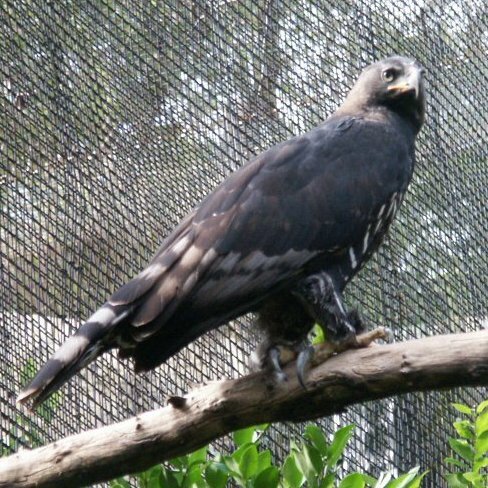 Diet in the Wild: The Crowned Eagle is a carnivore that feeds on mammals 98% of the time. Sometimes the eagle my feed on a reptile such as Varanus lizards or large snakes, including venomous species. The Crowned Eagle is very seldom seen inside the forest. Most of the time they perch on trees that overlook glades or water-holes. The normally perch in the early morning and evening so they can catch their prey off guard. Much of their time is devoted to soaring over the forest awaiting their prey, which is normally a monkey that is feeding on tree-tops. They hunt by dropping on their prey from a perch. The Crowned Eagle has the advantage of being able to fly silently to and from perches. 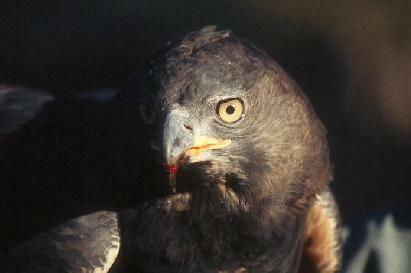 Most of the Eagles killing is done on the ground, except for the monkey and hyrax. Killing on the ground for the Eagle gives it another advantage, because it has the ability to fly almost vertically to a branch. At the Fort Worth Zoo there were two animals on exhibit in Raptor Canyon.